The first ‘Kolkata derby’ or the so called ‘Boro match’ of this season’s I League between city rivals East Bengal and Mohun Bagan will be played on Sunday i.e. 16th December 2018. 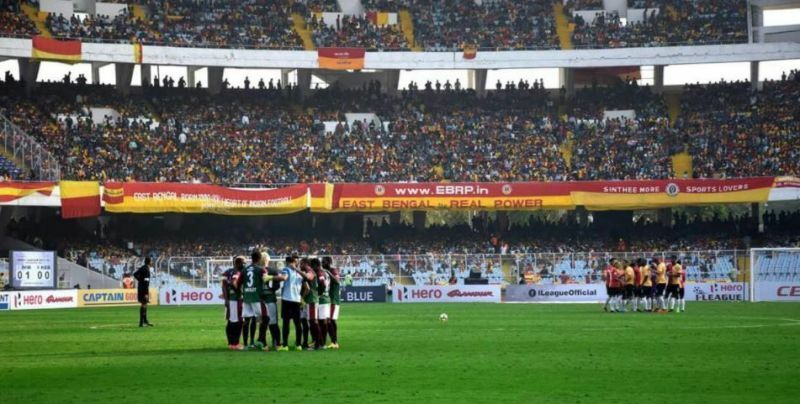 Although it is supposed to be East Bengal’s home match, it will be played in the Salt Lake Stadium, a common home ground shared by both the teams. 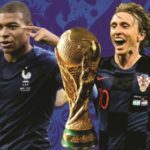 With its rich and eventful history, the Kolkata derby is often remembered for more of the intense competition on and off the pitch than the quality of football. Both the teams have enjoyed a lot of success having amassed many trophies nationally and a few internationally too. Even though both the sides have been bettered by many other league rivals during the past few years, this match still holds importance in the hearts of their respective fans with both striving to stamp their name on the city. But in the ongoing I league the fate of both the teams have be identical,to say the least. Formidable on papers, both the teams have not yet performed to their full potential. With 9 points each, both the teams are languishing in the bottom half of the points table.On the contrary, low profile teams like Chennai City, Churchill Brothers and débutante Real Kashmir with less than half their budget have excelled so far with their performances.Salt Lake stadium which was once regarded a fortress for both the home teams, has now become an easy hunting ground for the visiting teams. Both East Bengal and Mohun Bagan has suffered humiliating losses in their own backyard this season. 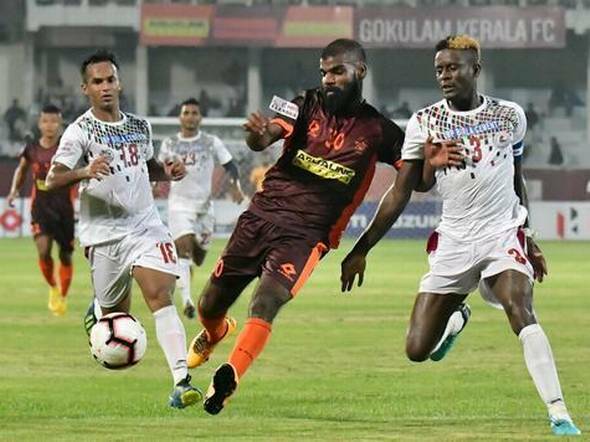 But having said that, both the teams are trying to slowly recover from the slump with much improved performances in their last outing.In their last match, Mohun Bagan dominated proceedings right from the word go against league front runners Chennai City, took the lead but were extremely unfortunate to concede late in the game due to a slight defensive lapse . On the other hand, East Bengal played well and defeated ‘the Giant Killers’ Gokulam FC at home. Hence this marquee clash becomes even more crucial as a victory will put the team back in the title race and a defeat will make push them further at the bottom of the points table. Let’s now quickly do a preview of this upcoming epic encounter and find out their team news,team strategies and key players. Team News- Coach Shankar Lal Chakraborty will be wary of the fact that despite having a full quota of quality foreign recruits and decent home grown players, their team are yet to peak. The Coach will most likely stick to the last game’s team formation. The only changes to come in are Azharuddin Mullick for injured Pintu Mahata and Dipanda Dicka for Henry Kisseka. A more consistent Shankar Roy should start ahead of Shilton Paul in goal. The backline of Abhishek Ambekar,Nigerian Eze Kingsley,Dalraj Singh and Arijit Bagui has looked far from convincing. Dalraj Singh especially looked extremely slow with his turning and his clearances in the box are inconsistent. In the last game against Chennail City, Coach Shankarlal Chakraborty used Lalchawnkima in Dalraj’s place. He had a far better outing and his superior understanding with Kingsley, made the defense more solid. The inclusion of Sourav Das,Yuta Kinowaki and Omar Elhusseni in the center of the field in the last match aided the team’s mobility and provided compactness. Kinowaki excelled in his role as a destroyer and Omar expertly linked up play and created upfront. 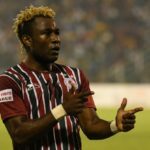 The wing play has always been Mohun Bagan’s strength with the advent of Haitian Sony Norde’s. After a long injury lay-off, he seems to be slowly but steadily getting back to his rhythm. Norde scored an absolute blinder against Chennai City. His ability to dribble past defenders, cut across and shoot are his strengths. The off form of the striking duo of Cameroonian Dipanda Dicka and Ugandan Henry Kisseka has heavily affected the team’s performance. The conversion rate of goals from chances created are abysmal. So far Mohun Bagan has managed to score only 7 goals in their six outings, second worst among all part. Strategy- Coach Chakraborty changed his team formation from a more conventional 4-4-2 to a more dynamic 4-2-3-1 against the league leaders Chennai City in the last game and did relatively well. They dominated most parts of the game,led till the 80th minute and could have wrapped up the match. But the visiting team capitalized from probably their only defensive lapse and restored parity. The Coach will unlikely change his team formation and may start the game with a lone striker. Dicka may sneak into the first team due to his better scoring ability. Their midfield and defense needs to close the gaps and spread their wing play more. Norde has to be given a free role so that he can exploit the weak right flank of their opponents. The full backs has to be extra cautious due to the opponent’s latest Spanish recruit Jaime Santos Colado. The back line will remain unaltered with young Shankar Roy in goal. Key Players- Kinowaki and Norde has been their stand out players. Kinowaki’s ability to destroy opponent’s build up play and superb distribution makes him an extremely important player in the heart of the field. On the other hand, Norde has been the soul of Mohun Bagan’s attack and has always led the mantle. His goal in the last match was a thing to behold. He made a beautiful run to the left of the Chennai box to cut back beating the defenders and then unleashed an angular shot which curled in leaving the Spanish goalkeeper stranded. The team management and the fans will expect something similar against their arch rivals East Bengal. 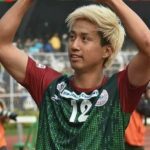 Predicted Mohun Bagan XI (4-2-3-1) – Shankar Roy; Ambekar, Kingsley, Lalchawnkima, Arijit; Sourav, Kinowaki; Norde, Omar, Azharuddin; Dicka. 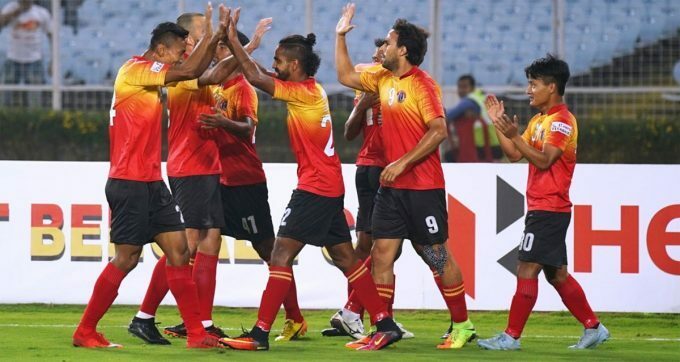 Team News- East Bengal’ having acquired Quess Corp as an investor at the beginning of the season, were expected to take this year’s I league by storm. 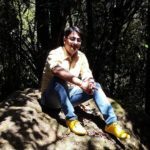 But the advent of the new collaboration into the Indian football has been extremely luckless thus far. An ill-timed transfer ban by the AIFF, followed by hapless injuries to key players ,a poor crop of home grown players at the Spanish Coach’s disposal has hampered the team’s progress in the I league big time. The team management constantly experimented with their strategies and formations for not getting the desired results. 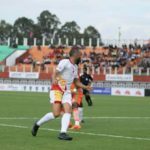 Although the team kicked off brightly by winning two back-to-back away games against Neroca FC and Shillong Lajong, they quickly lost ground in their next three matches losing to Aizwal FC (away),Chennai City (home) and Minerva FC (home).Spanish Coach Alejandro Menendez looked clueless with the teams on field performance and could do nothing to arrest the fall. Beginning of the season the club made high profile signings in Costarican World Cupper Jhony Acosta, Mexican striker Enrique Esqueda and Spanish defender Borja Gomez, but they are yet to find the mark. On papers,East Bengal looked an extremely formidable team but their on-field performances has bewildered their millions of fans. It is only in the last match that the team had a decent outing against Gokulam FC and trounced them in front of their discontent home crowd. The Coach tweaked his team formation a little in the last game by fielding a more attacking 4-1-3-2 formation against his usual 4-4-2 formation. The change in formation allowed Lalrindika Ralte (the only creative option) to play in the hole in a number 10 role, just behind the striking duo of Jobi Justin and Enrique. He excelled in his preferred position and made two exquisite assists for the team. But with Enrique being sidelined for 6 weeks due to a rib injury, the team faces a uphill task to find a suitable replacement. Johny Acosta’s off form saw him dropped in the last game by the Coach. He was replaced by the young Salam Ranjan Singh, who put up a decent shift. The Coach might not change the back line which looked relatively better with Salam’s inclusion against Gokulam FC. The club has roped in two more Spanish players in Jaime Santos Colado and Antonio Dovale (Tony) in the available foreign quota of players. Jaime is essentially a young left winger and should straight away get into Coach’s first team plans in the upcoming fixture against their arch rivals. Tony, a like for like replacement of Syrian Mahmoud Al Amna who has been officially released by the club, may miss out the Mohun Bagan match due to his delay in Visa issuance . Strategy- With very limited options available, Coach Alejandro Menendez might resort to a 4-1-4-1 or a 4-2-3-1 formation. With Enrique’s unfortunate injury, the Coach will be compelled to field a team formation with a lone striker upfront. Jobi Justin will certainly be the man upfront. He might play an extra midfielder and try to make the midfield more compact. Ideally the Coach should play Johny Acosta in a sweeper role just in front of the central defense or play Kassim Aidara alongside him as a double pivot in front of the defensive line. This will provide the defense and midfield more solidity. With Johny’s superior game reading and ball distribution,such a formation will also ensure smooth movement while constructing build up plays. Jaime will certainly start on the left and is expected to give the opponent defense a tough time with his swift dribbling and shooting prowess . Lalrindika will keep his number 10 role and like last match must create lots in the final third. The team collectively has to double their work rate to ensure a favorable outcome.The defensive line should remain unchanged from the last game. The full backs has to keep a tab on Sony Norde’s movement. He should not be allowed to cut inside and shoot. Borja Gomez is expected to lead the defensive line with his experience and ability. An inconsistent Rakshit Dagar might keep his place in goal. Key Players- Jobi Justin and Borja Gomez has been the stand out players for East Bengal. Jobi Justin is the team’s leading goal scorer with 4 goals in 6 outings and also has one assist to his credit. He is probably the most improved player under Coach Alejandro Menendez. His work rate,tenacity and hunger for goals are commendable. Borja Gomez has been quite consistent and has lead the defensive line since his inception in the team.His superior position sense in the box , robust tackles,heading and clearances are admirable. 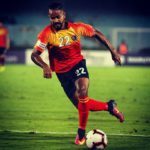 Predicted East Bengal XI (4-2-3-1) – Rakshit Dagar; Manoj, Borja, Salam Ranjan, Chullova; Acosta, Aidara; Jaime Santos, Lalrindika, Laldanmawia; Jobi Justin.